Lewis Hamilton’s outstanding recent form continued here on Friday when he beat Sebastian Vettel to top place in the second practice session for Sunday’sBrazilian Grand Prix at Interlagos. He beat the German world champion’s car by 0.167sec, with Mark Webber coming third, Fernando Alonso fourth and Hamilton’s McLaren team-mate, Jenson Button, seventh. The leading four cars were within 0.206sec of each other. 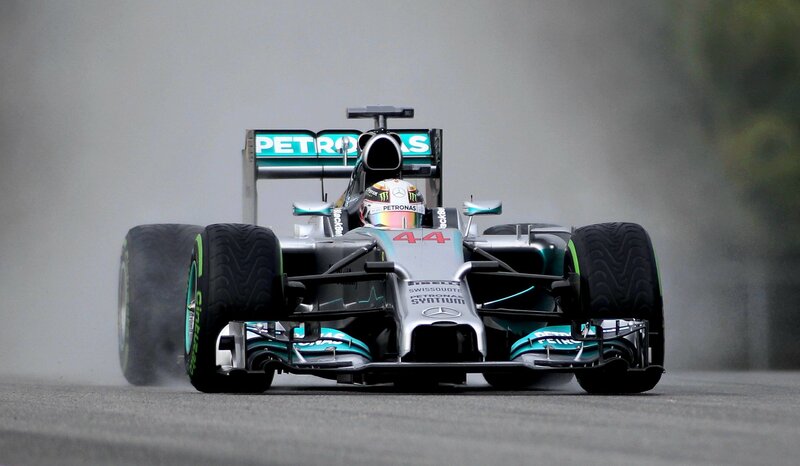 Hamilton’s run will give him confidence for Saturday’s qualifying session. But with rain forecast – and more for the race on Sunday – the weekend is something of a lottery. The British driver was in good enough form in the morning run, when he came third behind Webber and his compatriot Button, though it was in the afternoon that he found his fastest pace. His first good run was bettered by a swift-looking Michael Schumacher. However, it took only six minutes for Hamilton to return to the top again on the track where he won his solitary world title in 2008. The Ferraris of Alonso and the home hero Felipe Massa were again off the pace. Massa came fifth in the morning, one place ahead of his Spanish team-mate, and in the afternoon Alonso was fourth and Massa sixth. Their racing form, of course, has been better than their qualifying performances all season. On a difficult afternoon for Alonso he was forced to park his car with five minutes to go with a failure of an engine that was coming to the end of its scheduled life – the second time in three races that has happened to him in practice. Button, meanwhile, is confident that McLaren will make a stronger challenge for the title next year. He said on Friday: “I think we’re stronger now than we were at the end of last season. The exhaust system we were trying was massively different to what everybody else had and I think we perhaps put too much faith in one component of the car. “I think we’ve learned from that mistake and we won’t have a winter like the last one, when we didn’t really test. We’d do about five laps in the morning and then the exhaust would break and we’d wait for a new one to be fitted or for fresh parts to arrive from the factory. “We definitely won’t have a winter like that. We will be ready for the first race and won’t just turn up and bolt on a new exhaust, although I have to say the guys did an amazing job to find pace that hadn’t been there over the winter. “We hadn’t tested the car, made any improvements or evolved any set-ups, though, and the first two races were like that.